47 What is a sense of sickness but a sense of limitation? Of a splitting off and separating from ? A gap perceived between yourselves and what is seen as health? The good is seen outside; the evil, in. And thus is sickness separating off the self from good and keeping evil in. God is the alternate to dreams of fear. Who shares in them can never share in Him. But who withdraws his mind from sharing them is sharing Him. There is no other choice. Except you share it, nothing can exist. And you exist because God shared His Will with you, that His creation might create. 48 It is the sharing of the evil dreams of hate and malice, bitterness and death, of sin and suffering and pain and loss, that makes them real. Unshared, they are perceived as meaningless. The fear is gone from them because you did not give them your support. Where fear has gone, there love must come because there are but these alternatives. Where one appears, the other disappears. And which you share becomes the only one you have. You have the one which you accept, because it is the only one you wish to have. You share no evil dreams if you forgive the dreamer and perceive that he is not the dream he made. And so he cannot be a part of yours, from which you both are free. Forgiveness separates the dreamer from the evil dream and thus releases him. 49 Remember if you share an evil dream, you will believe you are the dream you share. And fearing it, you will not want to know your own Identity because you think that it is fearful. And you will deny your Self and walk upon an alien ground which your Creator did not make and where you seem to be a something you are not. You will make war upon your Self, which seems to be your enemy, and will attack your brother as a part of what you hate. There is no compromise. You are your Self or an illusion. What can be between illusion and the truth? A middle ground where you can be a thing that is not you must be a dream and cannot be the truth. 50 You have conceived a little gap between illusions and the truth to be the place where all your safety lies and where your Self is safely hidden by what you have made. Here is a world established that is sick, and this the world the body's eyes perceive. Here are the sounds it hears—the voices which its ears were made to hear. Yet sights and sounds the body can perceive are meaningless. It cannot see nor hear. It does not know what seeing is , what listening is for . It is as little able to perceive as it can judge or understand or know. Its eyes are blind; its ears are deaf. It cannot think, and so it cannot have effects. 51 What is there God created to be sick? And what that He created not can be? Let not your eyes behold a dream, your ears bear witness to illusion. They were made to look upon a world that is not there, to hear the voices that can make no sound. Yet are there other sounds and other sights which can be seen and heard and understood. For eyes and ears are senses without sense, and what they see and hear they but report. It is not they that hear and see, but you , who put together every jagged piece, each senseless scrap and shred of evidence, and make a witness to the world you want. Let not the body's ears and eyes perceive these countless fragments seen within the gap which you imagined, and let them persuade their maker his imaginings are real. 52 Creation proves reality because it shares the function all creation shares. It is not made of little bits of glass, a piece of wood, a thread or two perhaps, all put together to attest its truth. Reality does not depend on this. There is no gap which separates the truth from dreams and from illusions. Truth has left no room for them in any place or time. For it fills every place and every time and makes them wholly indivisible. 53 You who believe there is a little gap between you, do not understand that it is here that you are kept as prisoners in a world perceived to be existing here. The world you see does not exist because the place where you perceive it is not real. The gap is carefully concealed in fog, and misty pictures rise to cover it with vague, uncertain forms and changing shapes, forever unsubstantial and unsure. Yet in the gap is nothing . And there are no awesome secrets and no darkened tombs where terror rises from the bones of death. Look at the little gap, and you behold the innocence and emptiness of sin that you will see within yourself when you have lost the fear of recognizing love. 54 Who punishes the body is insane. For here the little gap is seen, and yet it is not here. It has not judged itself nor made itself to be what it is not. It does not seek to make of pain a joy and look for lasting pleasure in the dust. It does not tell you what its purpose is and cannot understand what it is for. It does not victimize because it has no will, no preferences, and no doubts. It does not wonder what it is. And so it has no need to be competitive. It can be victimized but cannot feel itself as victim. It accepts no role but does what it is told, without attack. 55 It is indeed a senseless point of view to hold responsible for sight a thing that cannot see and blame it for the sounds you do not like, although it cannot hear. It suffers not the punishment you give because it has no feeling. It behaves in ways you want but never makes the choice. It is not born and does not die. It can but follow aimlessly the path on which it has been set. And if that path is changed, it walks as easily another way. It takes no sides and judges not the road it travels. It perceives no gap because it does not hate. It can be used for hate, but it cannot be hateful made thereby. 56 The thing you hate and fear and loathe and want, the body does not know. You send it forth to seek for separation and to be a separate thing. And then you hate it, not for what it is, but for the uses you have made of it. You shrink from what it sees and what it hears and hate its frailty and littleness. And you despise its acts but not your own. It sees and acts for you . It hears your voice. And it is frail and little by your wish. It seems to punish you and thus deserve your hatred for the limitations which it brings to you. Yet you have made of it a symbol for the limitations which you want your mind to have and see and keep . 57 The body represents the gap between the little bit of mind you call your own and all the rest of what is really yours. You hate it, yet you think it is your self and that without it would your self be lost. This is the secret vow which you have made with every brother who would walk apart. This is the secret oath you take again, whenever you perceive yourself attacked. No one can suffer if he does not see himself attacked and losing by attack. Unstated and unheard in consciousness is every pledge to sickness. Yet it is a promise to another to be hurt by him and to attack him in return. 58 Sickness is anger taken out upon the body, so that it will suffer pain. It is the obvious effect of what was made in secret, in agreement with another's secret wish to be apart from you, as you would be apart from him. Unless you both agree that is your wish, it can have no effects. Whoever says, "There is no gap between my mind and yours" has kept God's promise, not his tiny oath to be forever faithful unto death. And by his healing is his brother healed. 59 Let this be your agreement with each one—that you be one with him and not apart. And he will keep the promise that you make with him because it is the one which he has made to God, as God has made to him. God keeps His promises; His Son keeps his. In his creation did his Father say, "You are beloved of Me and I of you forever. Be you perfect as Myself, for you can never be apart from Me." His Son remembers not that he replied "I will," though in that promise he was born. Yet God reminds him of it every time he does not share a promise to be sick but lets his mind be healed and unified. His secret vows are powerless before the Will of God, Whose promises he shares. And what he substitutes is not his will, who has made promise of himself to God. 1 Father, our eyes are opening at last. Your holy world awaits us, as our sight is finally restored and we can see. We thought we suffered. But we had forgot the Son whom You created. Now we see that darkness is our own imagining and light is there for us to look upon. Christ's vision changes darkness into light, for fear must disappear when love has come. Let me forgive Your holy world today that I may look upon its holiness and understand it but reflects my own. 2 Our Love awaits us as we go to Him and walks beside us, showing us the way. He fails in nothing. He the end we seek, and He the means by which we come to Him. "Now we see that darkness is our own imagining, and light is there for us to look upon." (W.302.1.5) We made up the stories of our life. We gave the events of our life our own meaning and our own interpretation. We saw attack where love, or a call for love, was all there ever was. We experience fear, yet "fear must disappear when love has come." (W.302.1.6) The only way out of the darkness is by bringing awareness to our fears and being totally willing to release them. There is nothing more than that to be done. In fact, if we try to undertake to do anything more, we are getting in the way by putting the ego in charge of its own undoing, and that will never work. If we accept everything in our life, including the things that seem dark, and recognize that they are all a part of the classroom to help us learn to forgive, we can become happy learners. What this means is that when our purpose is to awaken, we can be happy about everything that shows up because it is all for the purpose of releasing the darkness so the light that we are can shine through. It is always there behind the dark clouds of our own thoughts. Our thoughts are just hallucinations. As Nouk Sanchez says in her blog, "Contrary to what the ego teaches, the people and things that trigger us are indeed the very gifts that hasten our return to Love, to our Holy Self, and to the immense safety of our Being. However, through the ego filter, we not only reject these gifts, but we fiercely defend our (ego) self from this valuable portal to liberation." Assaults and attacks will come, not because we are on the wrong path, but they will come as part of our liberation. Mooji says that we conquer them not by fighting them but by remaining in the heart of truth. We witness what seems to be happening, but we don’t identify with the forces that detract us. We can choose to be grateful for the valleys that we go through in which some of our greatest insights can take place. These times can feel like battles in our life, but all we are battling is our perception, which keeps joy out of our awareness. Joy is always there, but the battle that seems to be going on in our mind is actually between what the ego tells us and the truth. It seems like two wills are battling, yet the Holy Spirit is still and does not do battle. He simply waits patiently for us to change our mind. We think we need or want something to be different than it is. Thus, we suffer because wanting things to be different than they are makes us unhappy. Now we must learn to surrender everything wholly to Spirit and trust that all is for our good. "Some of your greatest advances you have judged as failures, and some of your deepest retreats you have evaluated as success." 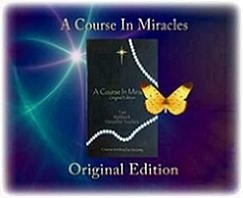 (T.18.V.1.6) (ACIM OE T.18.VI.41) Our judgment of what is good or bad brings suffering. Our job is simply to look at our darkness and be willing for it to be shifted. The result is always peace. We allow the valleys to be what they are so we can experience the hilltop when we are ready. It does not matter how much time this takes. Time is our friend when our desire is to use everything in our life for awakening. There were times in my life when everything seemed hopeless and dark. Yet even without the deep resolve and devotion I have now, there was a part of my mind that knew there was value in these dark valleys, even as I was in the midst of them. I found myself watching the experience and recognized the "tenderizing" effect it had on me. I find that there is a callousness or lack of compassion that we can develop when everything is going our way. We are not being deeply challenged or humbled by events in our life. I suppose it is a kind of arrogance when everything in our life seems to be working. It is a kind of egocentric focus, where we can become insensitive to others. Falling into the dark pit of despair can teach us more compassion for ourselves and others and in the process, though we seem to be diverted from our divinity, we can recognize the gift that comes with it. The experience of having the heart broken open can bring a deeper level of awareness and empathy. Through each of these experiences, I found I was able to look deeper at the caverns in my mind where the openings had been shut to the light. Looking into these dark places always brought new awareness and beauty for which I felt grateful in the end. No, it is not fun nor easy to go there, but when we become the observer of the experience, we can move through it with a greater degree of detachment. There is no way to get to the love without going through the fear. When we become the observer of our experiences, we come from a place of awareness from above the battleground. We distance ourselves from the dream and become the observer of the experience, with the love of Jesus holding our hands and hearts as we go through these dark places in our mind. I have found, even in the midst of the darkness of the distress and pain, there can still be a realization that we are not the experience of the distress and pain. We are the one observing it. Now we can experience it as if it were happening to someone else, like a character in a play with whom we identify, but we know we are not this character. It is like watching a movie and identifying with the characters, but knowing we are the watcher and not the characters in the movie. Thus, there is some detachment. Jesus says that we can actually watch what is happening while smiling at the idea that there is anything real going on. We are not these dense beings. Where we think we are, there is only light, but there is no way around the darkness of our thoughts. Covering them over, trying to stay positive, or trying to dismiss them is simply a spiritual bypass or a denial of our experience. This will never work, as the darkness is still there, just covered over. Thus, courage and willingness are called for to look with honesty and dedication behind our defenses. It is the only way through to the light. Instead of bracing ourselves against our feelings, we surrender into them, feel them, accept them, examine the beliefs behind them, and keep looking at them with Spirit. I will share, as briefly as possible, a recent experience of feeling fear. I initially tried to distract myself from it. I was concerned about a family member who seemed to be suffering and in great difficulty in his life. I was gripped with thoughts of fear that were in my mind in which all kinds of tragic scenarios were playing out. I was reminded that our thoughts are nothing but hallucinations. With each thought came a scenario like a movie, playing in the mind, but the scenes were all scenes of devastation and with them came a lot of fear. I kept trying to give over the fear, but it just kept creeping back into my mind. I tried to trace it back to a thought. What was that thought? It became apparent that I believed that the Son of God could suffer and with that thought came evidence of that suffering. I forgot that this is his perfect classroom that he had chosen and that he is not a victim. I was judging the situation and choosing to see it as wrong and giving my mind evidence of ultimate destruction, which brought up a lot of fear. I was reminded of his script, which is playing out as it was chosen by him. I realized my belief in suffering was an error. When I gave over that belief, all the fear was lifted from my mind. The Lesson is always the same, regardless of the situation: "Forgive, and you will see this differently." (W.193.3.7) It does not matter what the problem is, there is only one lesson to be learned. We are called to trust and to remember again that the world is a classroom and we are called to watch our thoughts and beliefs and keep turning them over for healing. We are always remembering our purpose. When we keep focused on our purpose of healing the mind, everything and everyone that shows up on our path contributes to that purpose. The Lesson is all about how we have wrongly perceived everything and everyone, based on our own thoughts, values, concepts, and beliefs. Now we are called to forgive our misperceptions so we can see with vision. We are asked to recognize that our unforgiving thoughts are keeping us from the love we are. They reflect the belief that we have sinned, are guilty, and now we expect the world to deliver the punishment we think we deserve. Today, we pray this prayer to ourselves---that we choose another way, realizing we have made a wrong choice. "Our Love awaits us as we go to Him, and walks beside us showing us the way. He fails in nothing. He the End we seek, and He the Means by which we go to Him." (W.302.2.1-3) Through forgiveness, God's love is reflected in this world. He is the End we seek in that our goal is to know who we are as One with God. We already are One with God, but we don't know our own reality. He is the Means because His love is the Source of our comfort along the way we seem to travel. We are not alone. He goes with us wherever we go. We rest in Him. His Love is reflected in specific forms in our life for as long as we need to experience it in that way and as long as we think we are in bodily form. With the introduction to the question "What is the Second Coming?" (W.PII.Q9), and the coming Section, "What is the Last Judgment?" (W.PII.Q10) I decided to have a look at the Book of Revelation in the Bible. While I am not very familiar with the Bible, the view presented in the Book of Revelation is exactly what is being refuted in the teachings and Lessons that we are currently reading. In fact, in looking at the Book of Revelation , I found the words from the Lesson yesterday, "And God Himself shall wipe away all tears." (W.301) Now it is all being reinterpreted for us in this Course. The Book of Revelation reiterates the fall of Satan and the doom he and his angels are bound for. We are shown the duties of all creatures and angels of Heaven and the promises of the Saints, who will live forever and ever with Jesus in the New Jerusalem. The Book of Revelation is lavish in colorful descriptions of the visions which proclaim the Last Days before the triumphant return of Jesus as a powerful world ruler, ushering in his kingdom. The Book of Revelation reveals the series of devastations poured out upon the earth such as the mark of the beast "666," the climactic battle of Armageddon, and the binding of Satan. Even though we may not have been schooled in this teaching, it permeates our culture, and there is a sense of fear about the Second Coming and especially about the Last Judgment. This fear seems to be exacerbated daily with discussions of the devastation of the world. Clearly, Jesus takes issue with this in the Course and redefines it entirely. Instead of reigning terror on the world, the Second Coming "is merely the correction of mistakes, and the return of sanity." (W.PII.Q9.1.1) All that happens is that it "restores the never lost, and re-establishes what is forever and forever true." (W.PII.Q9.1.2) It is an entirely different meaning from the Biblical teachings about fear and punishment. In the Bible, the Second Coming is about Jesus returning to judge the living and the dead. In the Course, Jesus teaches that the Second Coming is about our decision to "let forgiveness rest on all things without exception and without reserve" (W.PII.Q9.1.3) so we can awaken to the truth of who we are. Thus, it is undoing what never happened. It is the recognition that we have been mistaken. The entire world of time and space has been nothing but a dream. Now we are waking up. When all minds have joined in this, the Second Coming will be the total undoing of the dream. Instead of being fearful, it is a beautiful awakening and a remembering of who we are. I heard recently a new interpretation of the dreaded "666." Turned upside down it becomes "999." At one thousand, we are totally in the light and "999" is close to total willingness. I will speak more about the Second Coming in later Lessons. It is such a beautiful symbol of the healing of our mind and the Correction of our false beliefs where we are all equally released from the belief in sin and guilt. It is not about our understanding but only our willingness to see that we have been wrong about everything, and now we can be grateful that this is so.